This work is an interactive fountain system which can be controled by the strength of the LED color with iPad direction andwater jet. 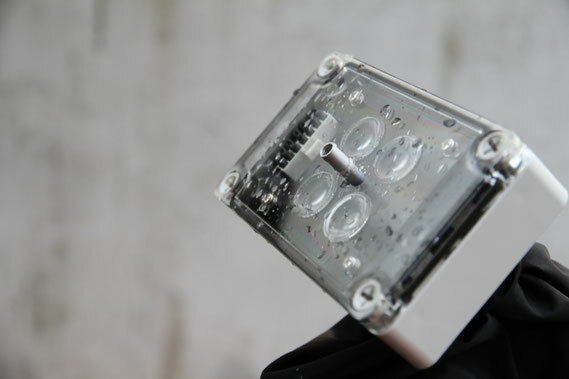 Audience will be able to manipulate the fountain intuitively with GUIand the accelerometer on the iPad.Therefore, even children can play and have a fun with this fountain. iPad and fountain equipment can be easily flexible construction invarious places so that is connected to the wi-fi router not allowedbetween a PC. It is possible to easily exchange or repair equipment of its fountain. The ordinary fountain has only provided a one-sided viewing experience. 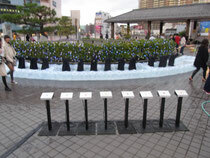 However, "Touchable Fountains" is the fountain of the new generationof entertainment with a new interactive element. It is epoch-making work for not only operating the fountain by the audience,but also developing new region of "Touchable Fountains" art. Copyright © 2016 JUCO Inc. All rights reserved.